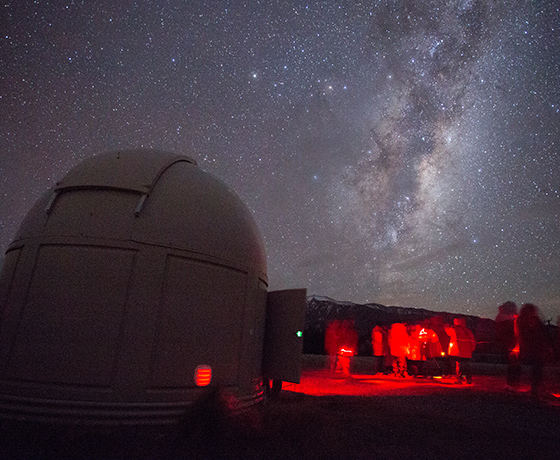 Experience the wonders of the universe with Earth & Sky. 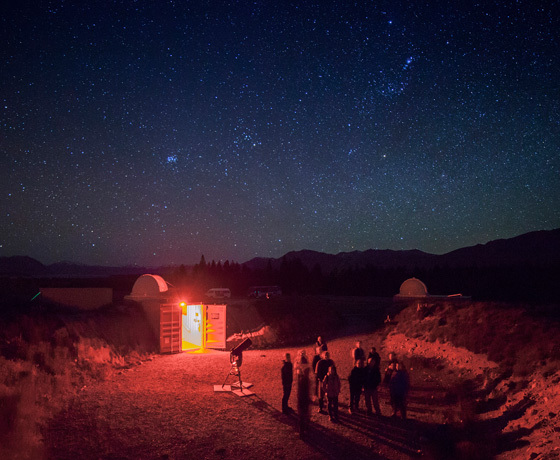 Based in Lake Tekapo, in the heart of the Aoraki Mackenzie International Dark Sky Reserve, Earth & Sky operate stargazing and observatory tours at two exclusive sites – the University of Canterbury Mt John Observatory, and Cowan’s Observatory. 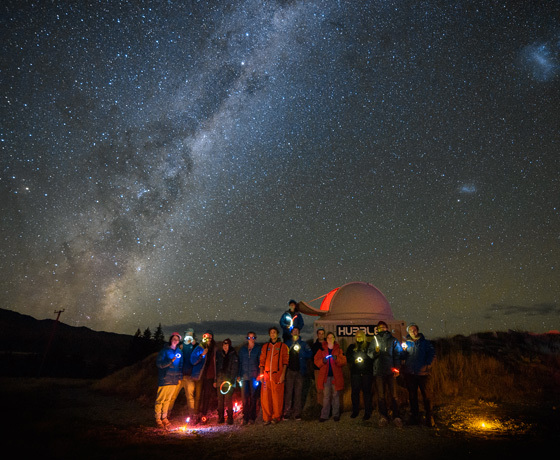 Explore the cosmos with their knowledgeable and passionate guides, as they share with you the abundant celestial wonders in our southern skies – planets, star clusters, nebulae, and more. During the day, hike or drive up to Mt John and take advantage of magnificent 360-degree panoramic views of the Mackenzie Basin. There are two hiking tracks available from the Lake Tekapo township, or visitors can drive up the excellent sealed alpine road, $8 access fee per vehicle. The Astro Café on the Mt John summit also offers a wide selection of beverages and food for all ages. 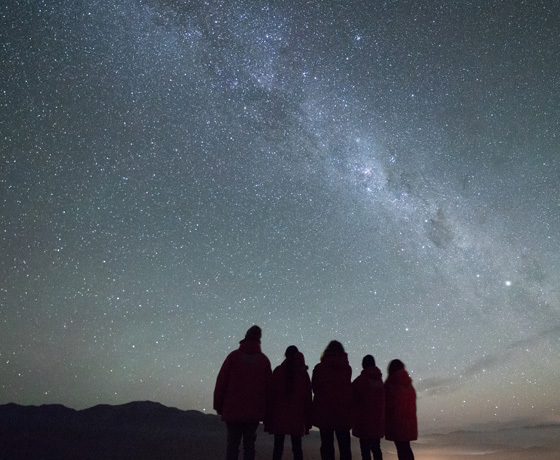 Stargazing tours run each and every night (subject to weather), and Earth & Sky operate coach transport from Lake Tekapo village to the observatories at night (no private access allowed to either site). Tours are available year-round in English, Japanese, and Mandarin. How to find Earth and Sky? Earth & Sky main booking office is located in western car park beside the Four Square Supermarket.